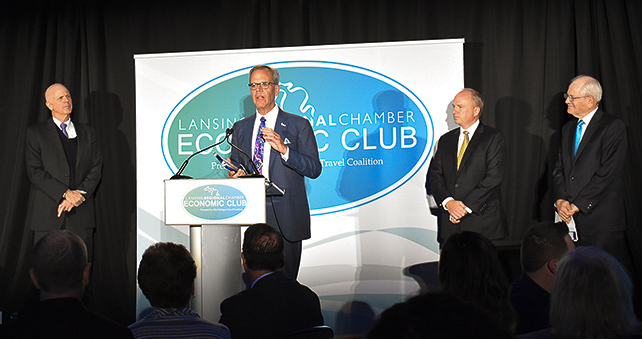 The Loomis Law Firm would like to congratulate Cinnaire on being a recipient of the Lansing Regional Chamber Economic Club’s 2018 Regional Growth Award. Cinnaire was honored at the annual 2018 Celebrate of Regional Growth event held on November 15, 2018, at the Kellogg Hotel and Conference Center. The three additional honorees include ASK, Auto-Owners Insurance Company and Harbor Bay Real Estate Advisors. 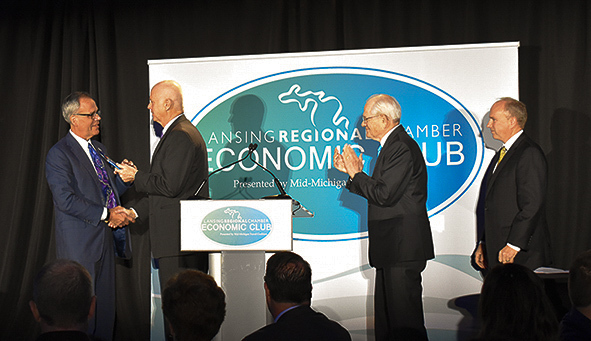 Each honoree has expanded and invested in new developments, facilities, technologies and the people, which has fostered economic growth and innovation throughout the Greater Lansing area. Congratulations to all of the 2018 Regional Growth Award recipients. Mark McDaniel, President and CEO of Cinnaire, accepting award from Jeff Green of Loomis.